Installation using MSI package and Active Directory/Group Policy: how to create MST package for setting up pre-defined settings (group name, administrator password etc. ); how to install MSI package with MST package. Special MSI Builder program is available by request for registered and educational customers. Using this program you can create a MSI package for Client deployment in Active Directory environment with custom client configuration (group name, id, administrator password etc.). 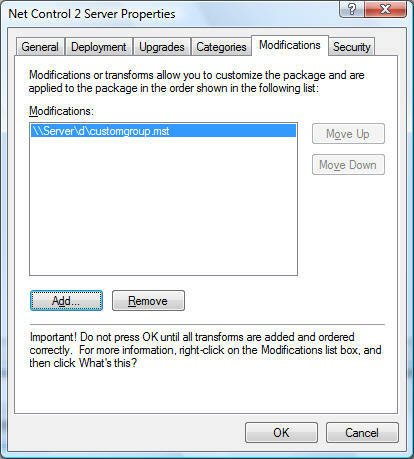 This article describes the procedure for creation of a custom MSI package, with pre-configured parameters: Group name, password etc; and instructions for deployment of this package using Active Directory / Group Policies tool. A. How to create MST transformation package for applying custom settings. B. 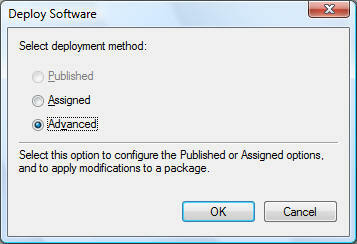 How to deploy MSI package with transformation file. B1. For Windows Server 2008. B2. For Windows Server 2003. C. How to uninstall the software. 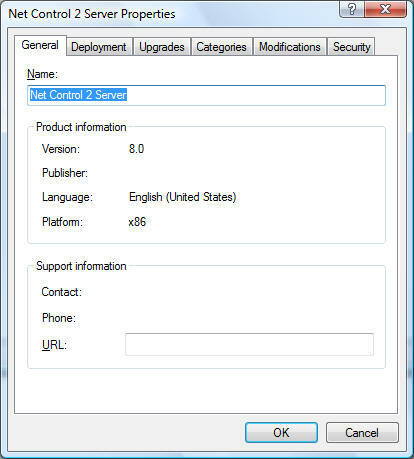 Windows Server 2003 or Windows Server 2008 with Active Directory services installed. 1. Download and install Microsoft ORCA tool. 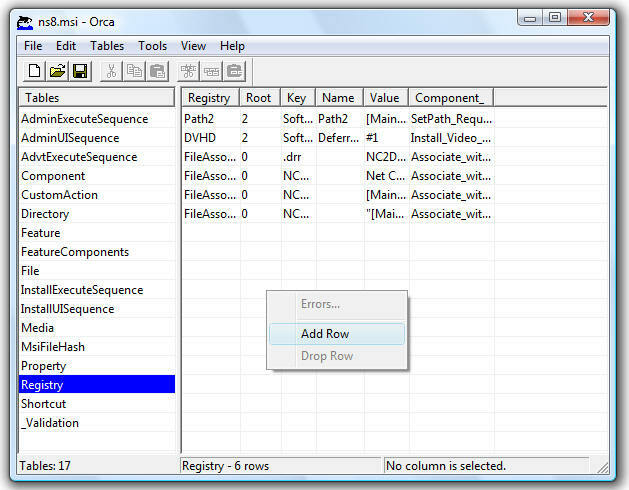 ORCA MSI Editor is a part of Microsoft Windows Installer SDK, which is available from Microsoft for free of charge. If the link is broken or obsolete, please search Microsoft's site for actual Windows Installer SDK package. 3. 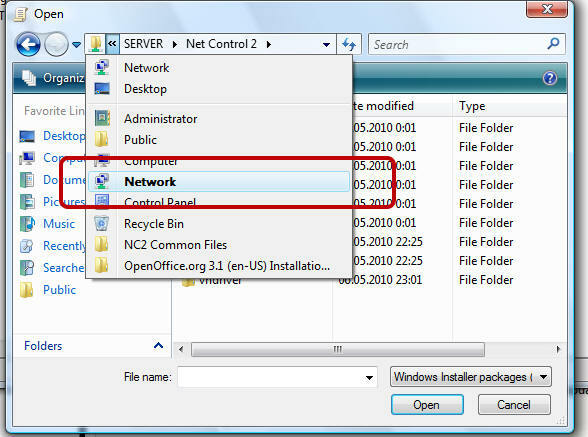 Open Net Control 2 MSI Package, using File -> Open menu command. 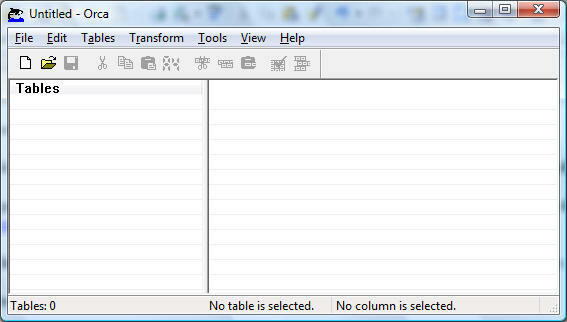 add custom parameters as found in the table below (p.4). 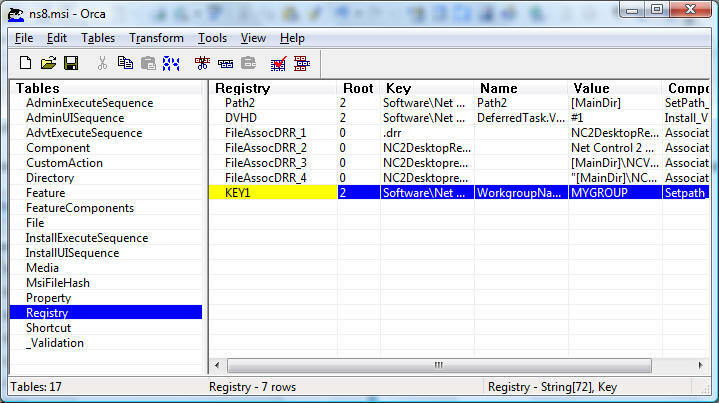 in Registry field, specify some unique name for the row name, for example KEY1, KEY2 etc. in Value field, specify name of your Group. Click OK button to add new row. 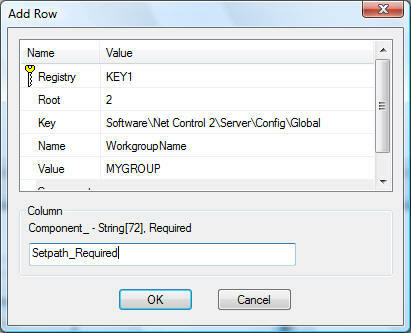 Component_ field field of Add Row dialog window for all parameters may be set as SetPath_Required . clicking menu command Transform -> Generate Transform. 5. Copy original MSI package and new MST package to some shared network folder, available and accessible from student computers. click Add button and open MST package prepared in the chapter A above. Use network paths only! 8. Click OK in MSI package window to close it. Click OK and close all Group Policies windows. 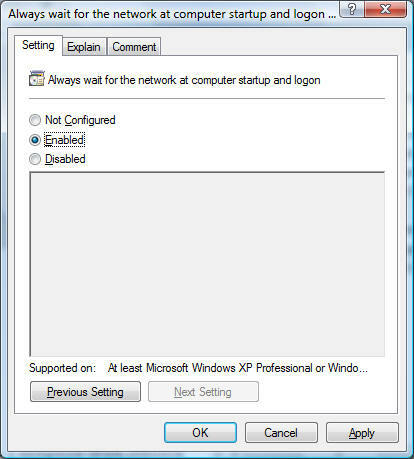 The package will be installed automatically after restart of the client computer. 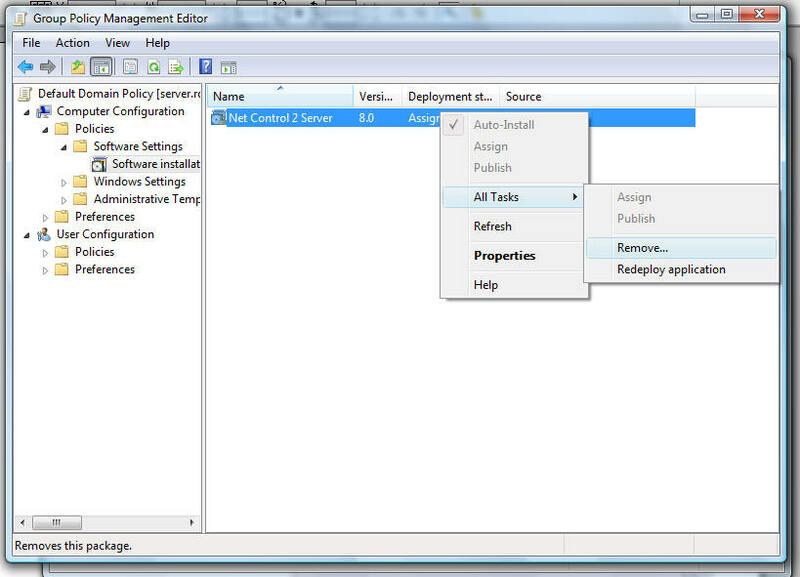 click Edit button to edit the policy. 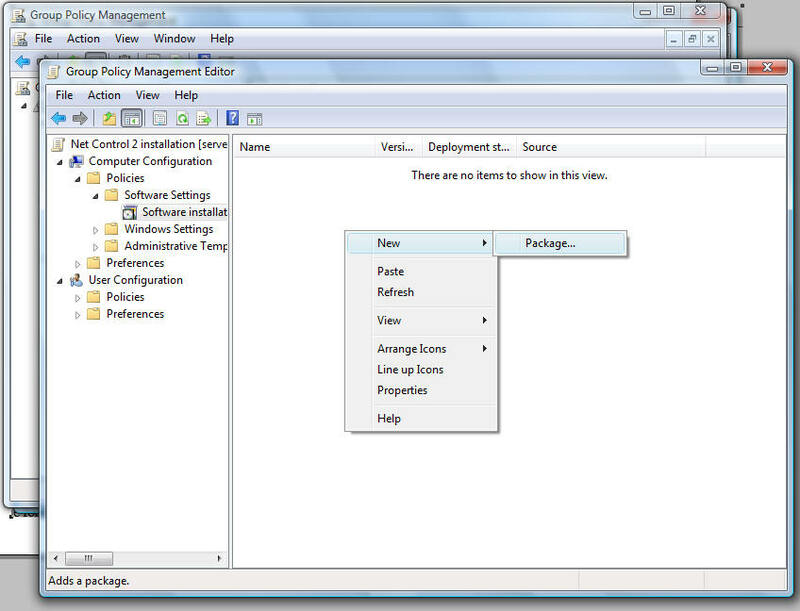 Assign new installation package as specified in p.p. 4-10 of the installation guide for Windows Server 2008 (please see above). C. HOW TO REMOVE THE SOFTWARE.